Hey, guys, this post is all about growing your Instagram – here you’ll find 10 Instagram tips for travel bloggers. 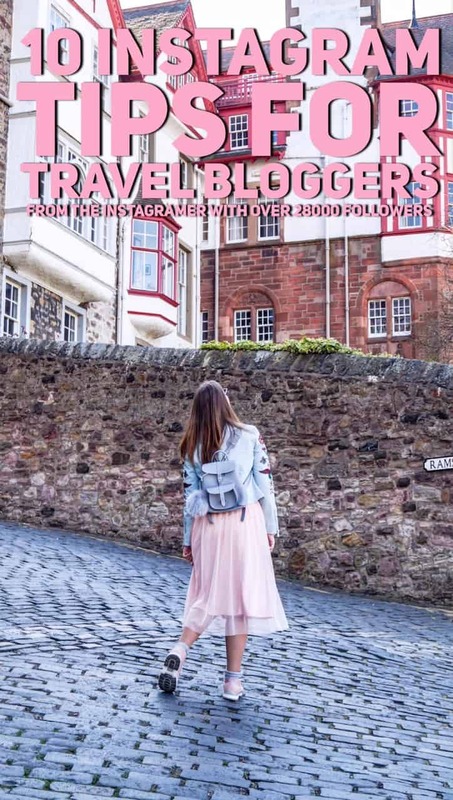 Many travel bloggers actually neglect Instagram and don’t pay enough attention to this Social Media channel. The reason is, it barely brings traffic to your blog. Moreover, you need to take nice photos and spend some time editing them. For many people, it’s a NO. 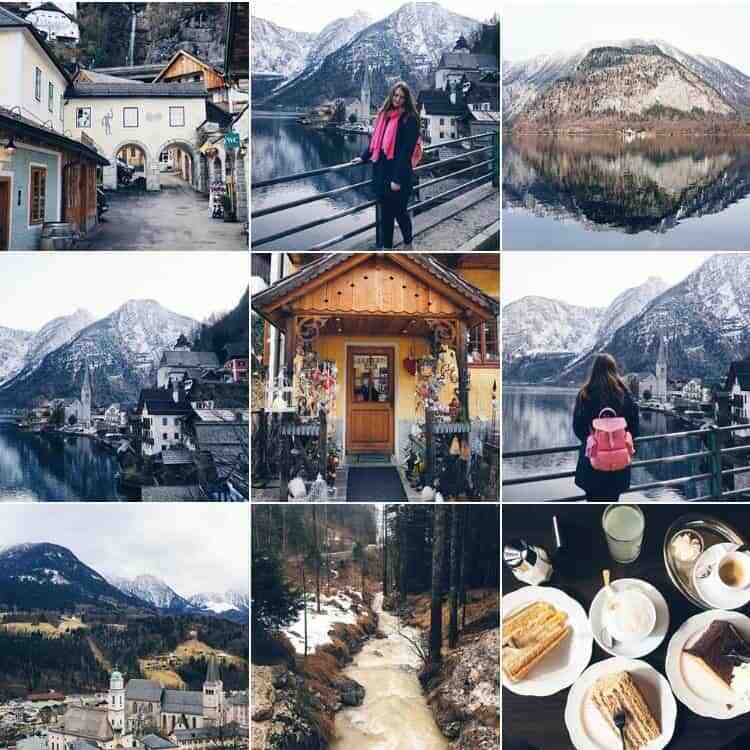 However, Instagram for travel bloggers is almost like a portfolio. You can actually score some pretty good comped stays and get help from tourism boards just by having a great Instagram with an engaged following. Not mentioning all the freebies you could get when working with brands. Most of the things I achieved so far happened because of my pretty strong Instagram with over 28K followers. Feel free to check it out ? Enough reasons to grow your Instagram? Not yet? Well, you can also get to know many amazing people from all around the world and even promote your blog or services through Instagram. For example, if you have 100K followers on Instagram and you’ll manage to write a really useful and amazing eBook, and sell it for $20, maybe 300 of your followers would be interested in buying it. That’s how you can make $6000 (don’t forget to pay your taxes though). Not bad, huh? Okay, let’s move on and actually look at the 10 ways to grow your Instagram. Don’t forget about some less popular and location-related hashtags like #loves_edinburgh #lovelondon and many others. It’s highly unlikely that someone will spot you with your 30 followers and suddenly 1000 followers will subscribe to your Instagram. You can’t imagine how many Instagram bloggers there are right now, but that’s not a reason to give up. If you believe in yourself and think that your content is great and deserved to be seen and appreciated by the other, go ahead, make them notice you. It will be a boring and long way to go, but in the end, you will get real results. Follow many people and in case they don’t follow you back, unfollow them too. Most people hate that strategy, but it works and I honestly don’t see anything bad here. You are just making others noticing you. You don’t force them to follow you at all, but if they do, that means they are interested in your account. Don’t forget to comment something meaningful, too. And always reply to the comments people leave on your Instagram. That’s what I meant in the last sentence of the first point. To grow your Instagram, you need to engage with your followers and people you follow. The more you interact with them, the more likely your photos will appear in their feed. Reach out to new people using some hashtags. For example, if you live in Miami Beach, follow the hashtag constantly and comment on some bloggers’ photos, answering their questions or saying something nice. Don’t just comment “Cool, nice and Excellent” – this will make you look like a bot – people usually don’t pay attention to comments like these. Instead, write something like “Love your dress!” or “Wow, I wanted to go to this place for so long!”. Anything that you want, but make it seem natural and genuine. Most people actually work and don’t have enough time to go to Instagram every hour and like and comment on someone’s photos. Automation software like Archie got you covered – just for likes though. You can choose hashtags, locations and even other people (whose followers’ photos will be liked) – Archie will do this job for you. Unfortunately, Archie is not so cheap (20 dollars), but unlike Instagress and Mass Planner it’s totally legal and big brands like Uber use it. And they have a FREE TRIAL, so you can actually check it out. 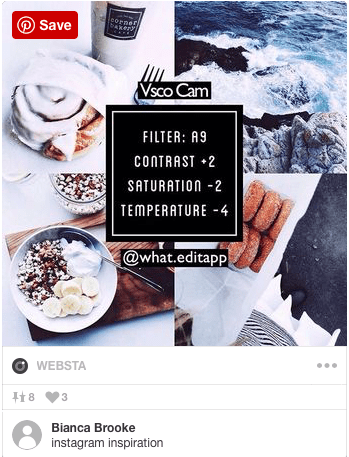 The times of Instagress and Mass Planner are over due to the recent API policies of Instagram. They might still work, but you won’t see spectacular results and you put your account in danger. This is a great and painless way to grow your Instagram and get new followers and some exposure for bloggers. Unfortunately, bigger bloggers have a huge advantage at this point, but you can try with smaller accounts too. When you’re about to upload a new photo – check some location-related or just related accounts, which are featuring photos like yours and tag them in your photo. Also, don’t forget to use their hashtag. You can start with smaller accounts and then once you get over 1000 likes on your photos, you can start tagging bigger ones. I got plenty of features from Portuguese accounts like @toplisbonphoto and thus, gained dozens of new followers. Another of the Instagram tips for travel bloggers is writing truly meaningful captions. In case the photography is not your strongest skill, you can provide people with something really useful – content. Write long meaningful captions, ask questions to your followers and give them important information about places, attractions, and prices. If you do it constantly, people will appreciate it. Many people neglect editing photos and following one color scheme, but I can assure you that it’s really important. Maybe you’ll see some bloggers with over 50K followers, whose photos are far from perfect and poorly made, but these are rather exceptions and people follow them mostly because of their amazing blog content. Instagram is a visual platform. People are mostly looking for inspiration there (apart from checking photos from relatives and friends). If someone unknown follows you, it’s because of your photos or content. Not everybody has to have this perfect color sense or have a designer background to follow one color scheme on Instagram. Everything was already made for you to ease this process. There are apps like Snug (you need to pay 1 dollar or so), where you can see if the photo you’re going to upload really fits in your layout. There are plenty of apps for editing photos like VSCO, Lightroom, Snapseed, Afterlight, Priime, A Color Story and many others. It looks me quite a while to learn how to use them all and find my own style. 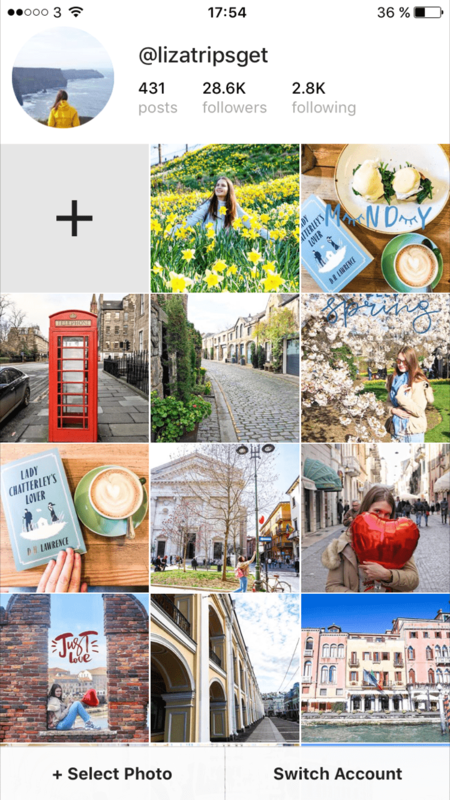 If you’re a beginner who just wants your photos to look beautiful, check Pinterest for “Instagram filter or Instagram settings” and you’ll find plenty of useful recourses which will tell you how to edit photos! Check out these, for example. Avoid extremes though. Oversaturated or undersaturated photos (as well as the pixelized ones) won’t look good in your feed and won’t help you to grow your Instagram. Bigger bloggers who already have an engaged audience often organize so-called “SFS” which stands for the shoutout for the shoutout. The rules are easy (but they vary from blogger to blogger). You see someone organizing an SFS, you choose one photo of this person and upload it to your Instagram with a caption. You also need to tag that blogger and write done in her/his comments. The photo in your feed has to stay online at least for 4 hours. 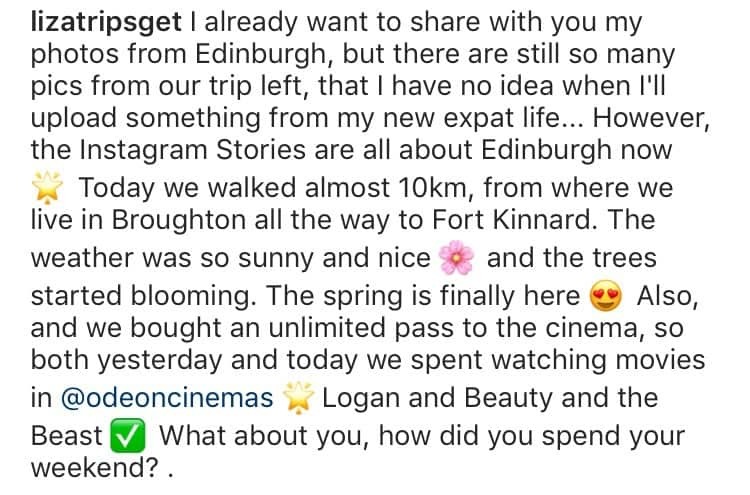 After some time, this blogger chooses few people and features them in her/his Instagram. The more followers the organizer of an SFS has, the more difficult it is to be chosen and featured on his/her feed. Make sure that your feed looks almost perfect before participating in something like that. Another way is agreeing with someone on a shoutout. You post a photo of this person, he/she posts something about you. Your choice, your rules. However, it’s quite hard to find people with whom you can do shoutouts, that’s why I created this group called “Shoutouts for Travel Bloggers”, where every single member is interested in shutouts. Feel free to send a request. I don’t recommend you this one, but apparently, it works for some people, especially in a beauty niche. A loop giveaway is a giveaway on Instagram, where you have to follow around 20-40 people for a change to win a prize (usually it’s an iPhone or something like that). Moreover, you have to pay from 20$ to 50$ together with other participants for this prize you’re giving away. You can get quite a few new followers, but most of them will unfollow you after a couple of days unless you’re doing giveaways all the time (which is pricey). And then again, these followers won’t be natural and won’t be genuinely interested in your account. And the last tip to grow your Instagram is entering Instagram pods. What’s an Instagram pod? It’s a small community of 20-50 people, who agree on liking and commenting each other’s photos, whenever a new photo is published. I was once a participant of a pod, but it really helped me to grow my account at some point more than half a year ago. Unfortunately, there were really many people in the pod and all of them were uploading photos at least twice a day, so it lasted only for a week for me. Then I left it and never entered any pod again. It’s very hard to find someone in the same follower range and niche as you when you have over 20K, who would participate in a pod. However, if you’re an Instagram beginner, I would definitely recommend you to enter a pod and see if it works for you. Stay at least for a month to see a great change. Liked this post about “How to grow your Instagram: 10 Instagram tips for travel bloggers” – Save it on Pinterest! Really nice post! 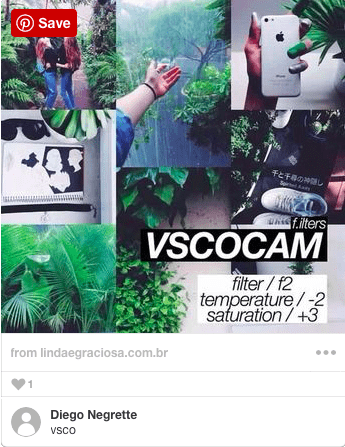 it help me a lot, instagram is my favourite platform these advices will help me a lot.